Speaking about genre preferences, I was never much attracted to thrillers. Science fiction and fantasy always come to mind first when the issue of favorite genre is raised (though I dislike the whole genre hoopla, but that is another subject). I remember when, upon strong recommendations, I picked up one of Robert Ludlums spy thrillers, hoping that I would not be able to put the book down. Unfortunately, I was soon bored and went to sleep. I did try it a few more times but I just could not immerse in the world that seemed so like the real one. It took me years to give it another try, and I am sure glad I did. When I started working as a literary translator, which has always been a dream of mine, I was not expecting to like any of the books that I was given to translate. It was a job and I approached it as a professional. Give me the book and I will translate it to the best of my abilities, whether I like it or not. 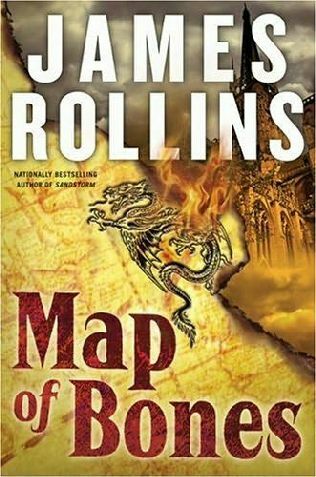 Despite that determination, I was still somewhat apprehensive when my boss gave me Map of Bones by James Rollins as my new assignment saying that it is a great, smart action thriller bearing some similarities with the then ultra-popular The Da Vinci Code by Dan Brown. I hated that book. In my opinion, it was poorly written and tried to cash in on the controversy surrounding the speculations about the life of Jesus Christ after the crucifixion, already depicted well in the book The Holy Blood and the Holy Grail by Henry Lincoln, Michael Baigent, and Richard Leigh. With these thoughts in my head I immediately started on the translation, without reading the book first, as I normally do. After a few dozen of translated pages I was so drawn into the plot that I decided to read it first and did so in two sittings. I was amazed. The plot was intriguing, characters had some depth, action was abundant and well depicted, and twists and cliffhangers were cleverly and believably resolved. 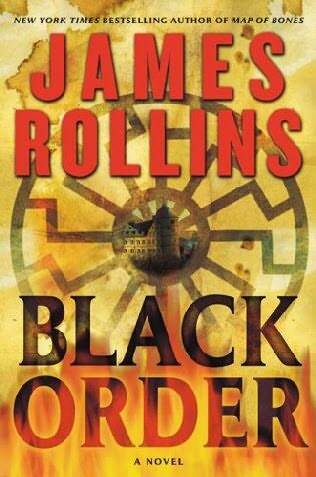 The best thing, however, was the way Mr. Rollins used historical facts to weave a very intriguing and entertaining story. I was astounded when I read the afterword in which Mr. Rollins explains the historical and scientific facts that he used as basis for his fictional work. It is needless to say that I was hooked. After I finished the translation of Map of Bones, I found everything that Mr. Rollins had written that was available in my country and literally gulped it. I was lucky to translate the following two books in the Sigma series – The Black Order and The Judas Strain. I loved them. Regretfully, the publishing house that I worked for was sold, and the new owner failed to prolong the contract for the publishing of Mr. Rollins’s books. Still, I continued to read them, and I am happy to say that the quality of writing and most of all ideas, remains very high. The Sigma series books are centered on the agents of Sigma, who can be described as assassins with PhDs. All agents have multiple doctorates, and usually military background. They deal with national security, or better to say world security issues that are related to ancient mysteries and breakthrough scientific achievements and technology. In essence, it is a mixture of Indiana Jones (incidentally, Rollins penned the Indiana Jones and the Kingdom of the Crystal Skull novelization) and James Bond with all his gadgets. Books are full of adventure, three dimensional characters, humor and clever ideas. I have given my free copies of translated books to some of my friends and family, and they had only words of praise for it. There are even some rumors that they might be turned into movies. Now that would be a treat.